Margaret Boland Killiney, Dublin, Ireland. Metamorphosis by Robert St. John.Metamoprhosis is a philosophy which is open to anyone interested in the idea of fundamental self healing. Metamorphosis is open to anyone interested in the idea of fundamental self healing. The negative memories are “blocks” which are registered at conception and determine the attitude of mind towards life. All illness and disease, whether it be mental, physical, emotional or behavioral stems from the primary attitudes of mind introduced at conception and developed during gestation. Metamorphosis is a way of eliminating these negative attitudes of mind so we can live creatively in the present moment. Living in the “moment” releases anxiety and the future becomes a creation. Being a creator is to live life in a harmonious and stress free way. Metamorphosis addresses the disturbance or the source of the block in treatment. As we transmute our blocks the memories of the symptoms are forgotten. The healing is fundamental and therefore permanent. *Metamorphosis is not a scientific approach. But it is interesting that scientists are now aware that our DNA holds memory of life going back millions of years. Two scientists, James Watson and Francis Crick discovered cell memory back in the 1950's. Through the practice of Metamorphosis we can 'morph' or become free of unconscious disturbances or 'blocks'. These blocks manifest as mental, physical, emotional or behavioural symptoms e.g. anxiety, depression, hypertension, insomnia, migraine, backache, eating disorders, addictions etc. Metamorphosis is about creating the balance, allowing the mind and body to heal naturally and spontaneously. If we keep it up as a way of life, we can be permanently free of the symptoms and their memory. In my experience all disturbances/stress can be successfully addressed with Metamorphosis, if the person is open to the idea of self healing. The practitioner's role is to be a catalyst, provide support and be an educator of the philosophy. Those who understand the principles of Meta tend to use it more in their every day lives, becoming free of their symptoms which inhibit their creativity. The aim of Metamorphosis is to create an inner authority and an independent mind, to be free of medication, manipulation and the control of others. 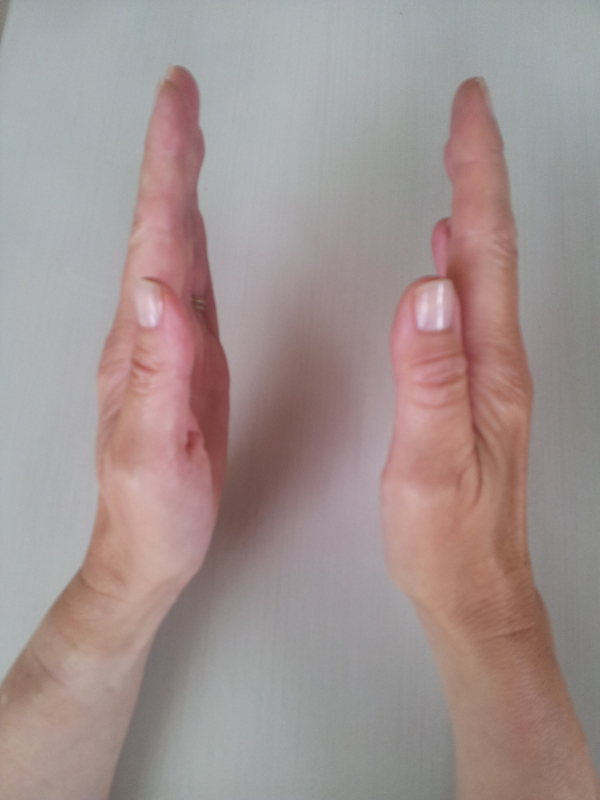 The Metamorphosis practitioner pays attention with perception in treatment, encouraging the practice of the Hand Symbols.